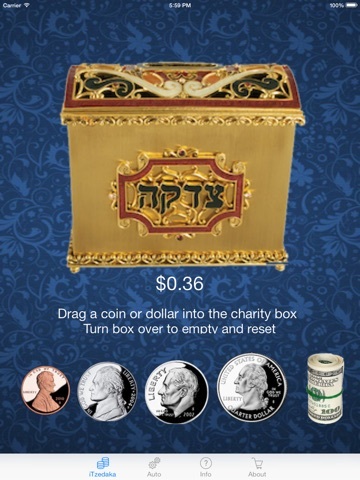 Carry a virtual Tzedakah (charity) box in your pocket! On the road? In Hurry? Need to generate Divine merit on the spot? Drop a few coins into this virtual charity box with the unlimited included coins and dollars! iCharity displays a tally of how much you’ve given to date --- that is until you turn over the box to empty it (try it)! 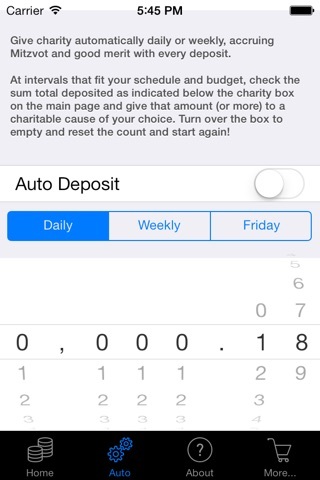 The new “AUTO CHARITY” feature allows you to specify a set virtual amount to be given each day or week. 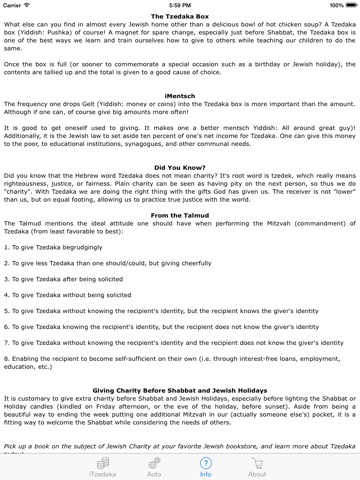 This way, charity is always given in your merit. Not feeling especially gracious at the moment? Even better reason to open iCharity and drop a few coins into the charity box anyway. 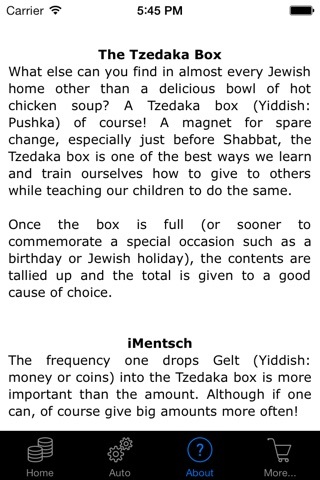 It’s good for your Jewish soul! 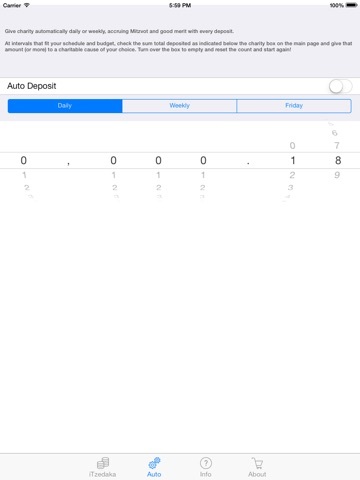 NOTE: For those that asked, whenever you "deposit money" into the virtual charity box no money is transferred from your iTunes account (or any other account) --- although that's not a bad idea for future development... This app is purely meant as a fun, personal charity tally utility which you reset once you give the money to charity on your own.